Dominating the skyline of Köln (a.k.a. Cologne in English) in Germany, the Köln Cathedral is one of the few structures that remained standing after the vast majority of the city was flattened by aerial bombs during World War II. While construction of this gargantuan Gothic church begun in 1248, the building (including what is today much of the façade) was not actually completed until around 1880 due to a series of wars and lack of funds. Standing in front of this immense and powerful Gothic church is enough to make anyone feel like a tiny church mouse. Given its status as Germany’s largest Gothic church, designation as a UNESCO World Heritage site, and being a long-held important stop on the Roman Catholic pilgrimage route, it is not surprising that Köln Cathedral is the most visited landmark in all of Germany. We’ll share all the basic information you need to visit the cathedral as well as our own experience paying a visit to this magnificent church. 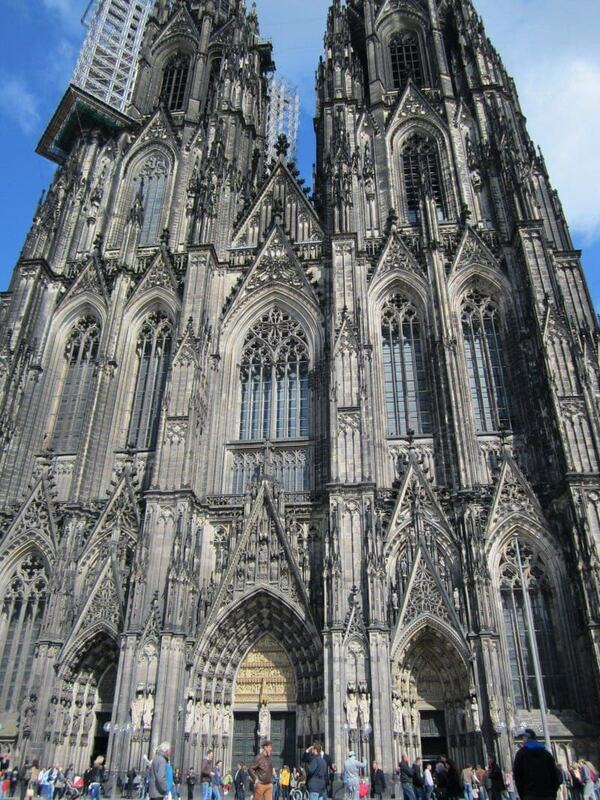 Once you make your way to downtown Köln, there is really no way to miss this giant cathedral. For GPS purposes, the church is located at Domkloster 4, 50667 Köln, Germany. 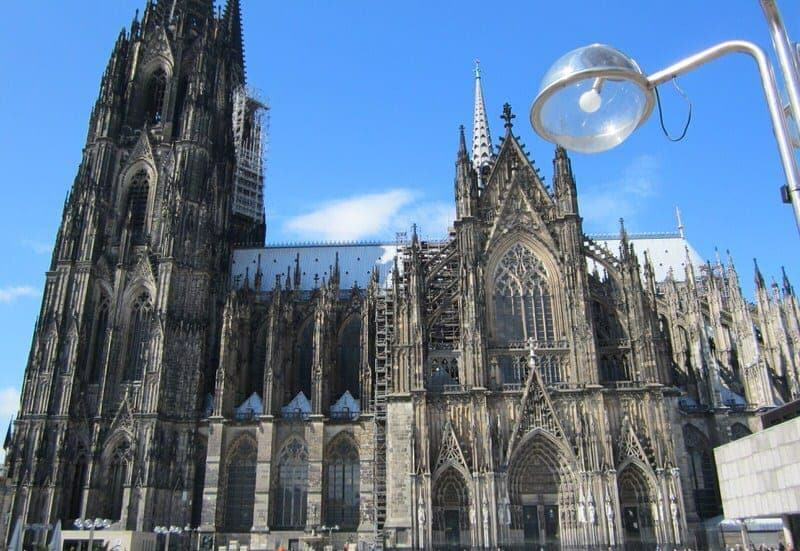 For English speakers, the church may be noted as Cologne Cathedral or Köln Cathedral on maps, guides, or your GPS, whereas in German you will see it noted as Köln Dom. Don’t worry these are all the same place. There are a number of fairly easy ways to get to Köln Cathedral, making Köln an easy day trip if you are staying nearby or driving near the city. Closest airport is Köln-Bonn Airport where you can take a bus or train to Köln. By train: Just stop at the Köln train station and the church is located only a few blocks away within easy walking distance. By car: Once you are in Köln, follow signs to the town center (“Zentrum”) and then find a parking garage (parkhaus) nearby. The closest to the cathedral is the giant “Parkhaus am Dom”. The fee was about 2 euros/hour during our visit. By boat: If you are taking a Köln-Düsseldorfer (K-D) Line boat along this section of the Rhine River, just get off at the Köln boat dock and turn right to follow Frankenwerft along the river towards the Hohenzollern Bridge and eventually you’ll see Köln Cathedral on your left before your reach the bridge. Just follow a street to the left to head to the Cathedral. A visit to the main areas of the church is free! 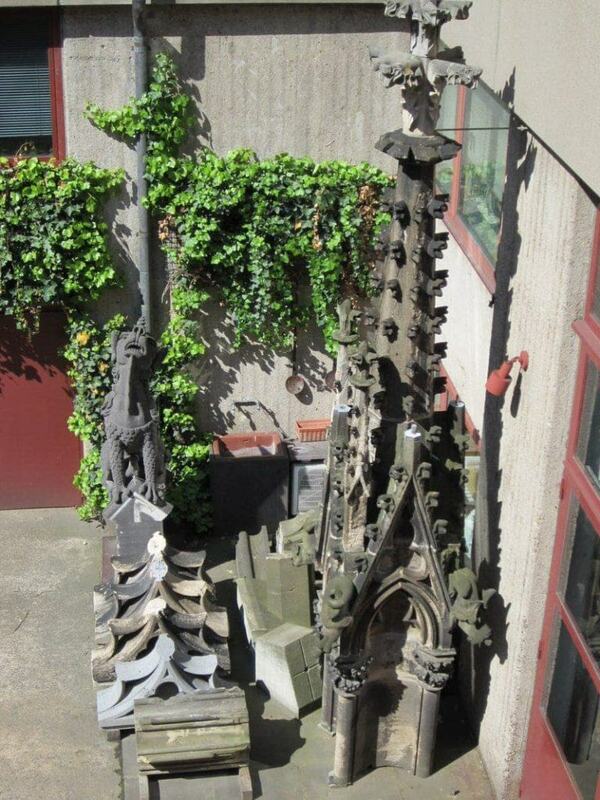 Want to visit some extra areas at Köln Cathedral or do a guided tour? Guided Tours, Literature, & Video: Visit Domforum, the Cathedral Visitors Center, which contains people to help answer your questions, literature in 16 languages, information about the guided tours, refreshments, and a video about the cathedral. It is located in a separate building across from the entrance to the church. You can sign-up for 1-hour guided tours of the Cathedral in English or German. Guided tours in English are normally given Monday-Saturday at 10:30am (10:30) and 2:30pm (14:30) and on Sundays and holidays at 2:30pm (14:30). English tours are 7 euros for adults and 5 euros for students. The video at the Domforum is about 20 minutes and is available for 2 euros (or free with a guided tour) in English, French, and German. Do the Cathedral Tower Climb: You’ll find on the right side of the outside of the church another entrance where you can pay to climb the over 500 steps to get a good city view and inspect the church bells up close. Cost is 3 euros (or 6 euros if combined with Treasury visit). Visit the Cathedral Treasury: If you are standing outside in front of the main entrance of the church, you can find the Treasury entrance on the left side of the church on the far end from the main entrance. 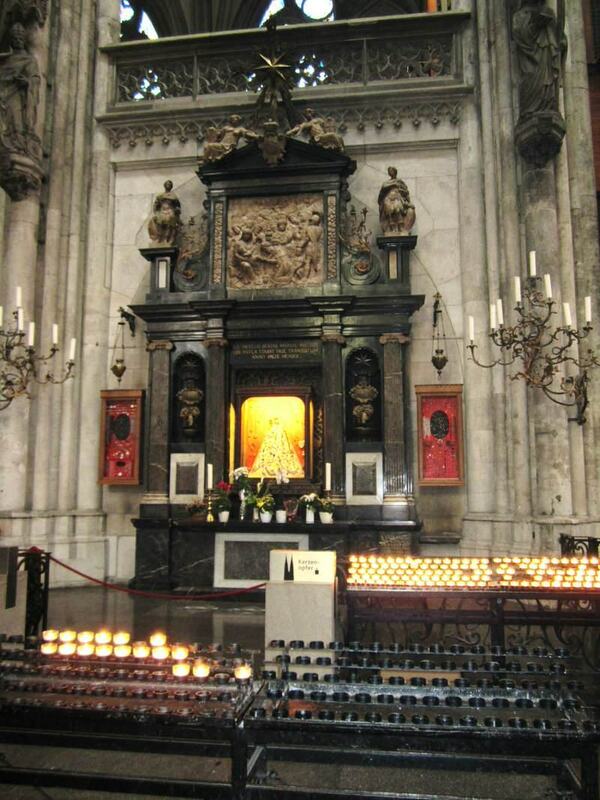 You’ll find a gold pillar marked Schatzkammer in front of the entrance to the church’s Treasury. Once in the church cellar, you’ll be able to visit several rooms filled with medieval vestments, jewels, and reliquaries. Cost is 5 euros (or 6 euros if combined with a climb of the Church Spire). Köln Cathedral is open daily year round. It is open from 6:00am to 7:30pm (6:00 – 19:30) from November to April and from 6:00am to 9:00pm (6:00 – 21:00) from May to October. However, visitors are not allowed to walk around during masses (although visitors can sit and attend) or special events, so be sure to check the cathedral’s website’s calendar for the list of masses (messe) and any other events during your visit. The Domforum is open Monday-Friday 9:30am to 6:00pm (9:30-18:00), Saturdays from 9:30am to 5:00pm (9:30 – 17:00), and Sunday from 1:00pm to 5:00pm (13:00- 17:00). Check the cathedral website concerning hours for the Church Tower and Treasury as the hours are more limited than the church and vary by season. 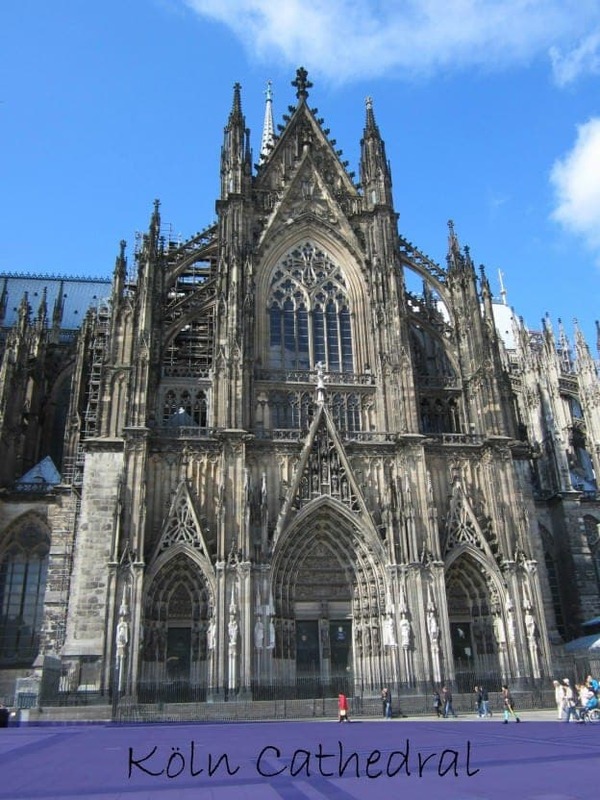 You can find out more information about the church from the Köln Cathedral’s office website, including history, mass service schedules, special events, and the opening times for the Treasury and Tower. You can also visit the Domforum’s official website or call the visitors center at 0221 925-84720. The UNESCO and Wikipedia webpages on the cathedral also provide great background information. 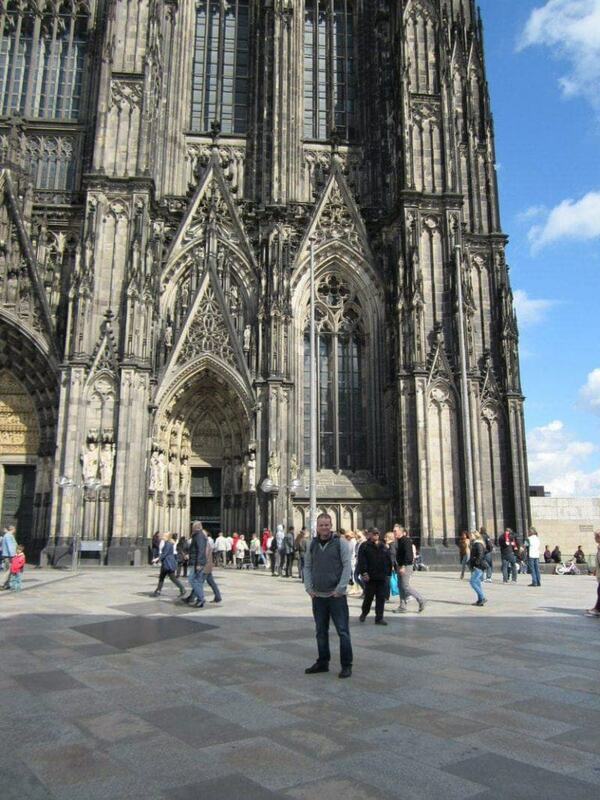 We visited Köln Cathedral as a stop on our way between the Düsseldorf Airport and the Mosel Valley. After our flight, we picked up our rental car in Düsseldorf and then drove to Köln. 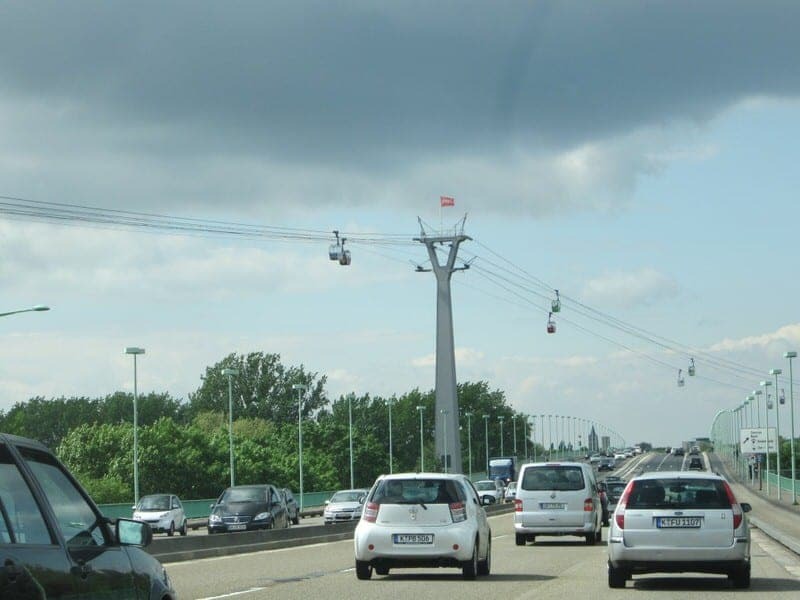 As we approached, we noticed from the bridge a series of cable cars that cross over the Rhine River. Maybe we’ll consider these on a future trip. Once in the city, we had some difficulty finding the parking garage due to road construction and had to circle around a couple of times to get here. But the “Parkhaus am Dom” parking garage is conveniently located near the Köln Cathedral and some of the major museums. It is impossible to miss the Cathedral once you approach the city given the size of the church and the height of the giant church spires. We did think that visiting by train would have been easier than driving, but we didn’t have a choice as we needed the car for our next stop. Standing in front of this big and important church makes you feel very tiny. I had a very difficult time getting the full church into my camera’s viewer even from quite far away. If you want to check out one of the church spires up close, there is a life-size replica of the spire tip in the Cathedral Plaza across from the main church entrance. We wandered around a bit around the church exterior to try to take it all in. We also inspected some fountains and the excavation site a bit before heading inside. Once inside, you’ll enter into the 140-foot tall nave which is filled with expensive stained glass windows. 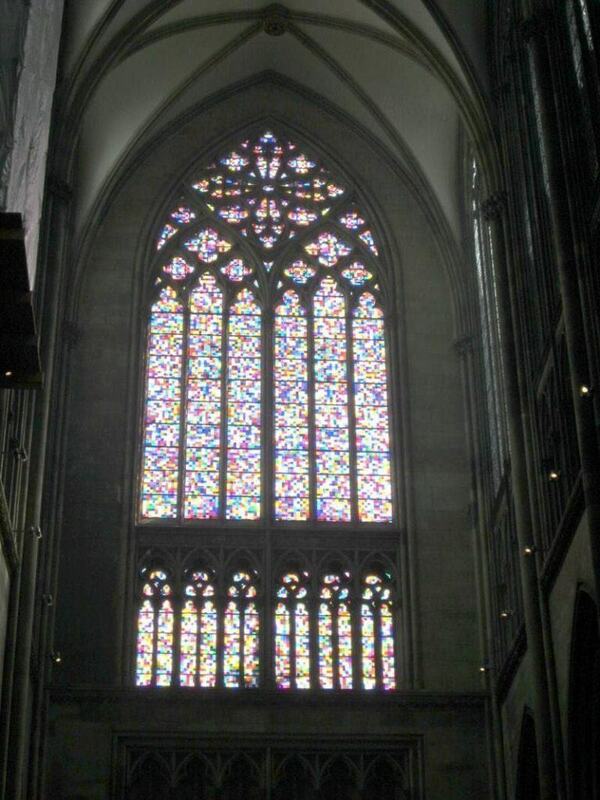 Some of the stained glass windows on the south side of the church were expensive gifts from King Ludwig I. The “swallows’ nest” organ above on the side was built into the gallery in 1998, to celebrate the cathedral’s 750 year anniversary. The church follows the normal cross layout with many of the most important shrines and treasures being placed in the end furthest from the entrance. Among the church’s many treasures are the carved Gero-Crucifix (large cross carved out of oak dating from the 970’s), the Shrine of the Magi which is believed to contain bones of the three Biblical magi (a.k.a. kings or wise men), and the Madonna of Milan sculpture. 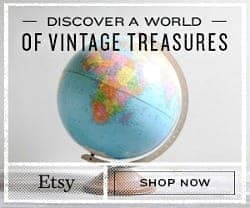 A good comprehensive listing of the major monuments, artworks, and architectural treasures are listed on the Cathedral’s website along with descriptions and photos. We would actually use this information to identify one of our many photos from the cathedral. 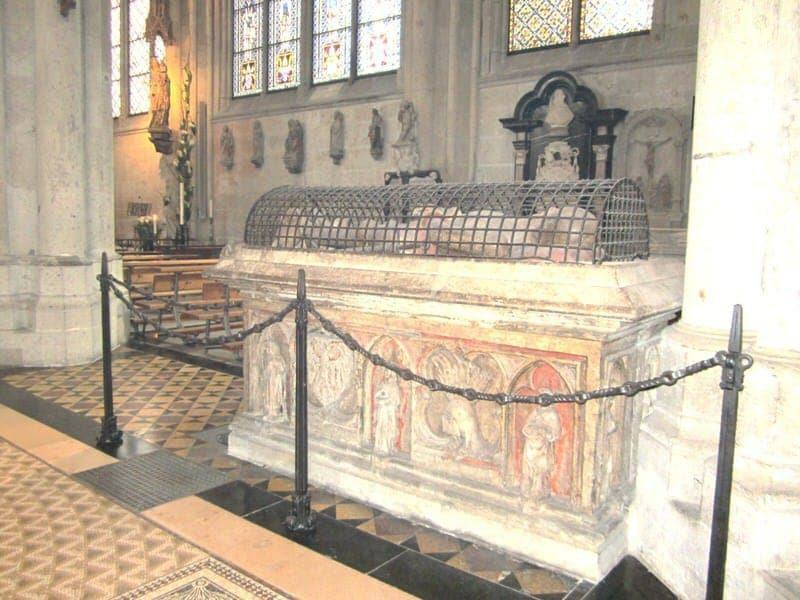 Turns out the photo below is of the tomb and effigy of Count Gottfried of Arnsberg, a wealthy man who left his entire estate to the archiepiscopal state of Cologne. He was the only layperson to be buried in the choir of the Gothic cathedral among a number of archbishops and saints during the Middle Ages. He is dressed in medieval knight’s clothing and armor and an iron grid surrounds the effigy, making this monument stand out during our visit. If you notice the pretty “rainbow” window in the south transept, this is one of the most recent additions to the church. In 2007, this stained glass window was inserted to replace one that was destroyed during World War II. Designed by German artist Gerhard Richter, the window is composed of 11,500 identically sized pieces of colored glass, randomly arranged by a computer and they resemble pixels. Seems pretty modern for a Gothic church! 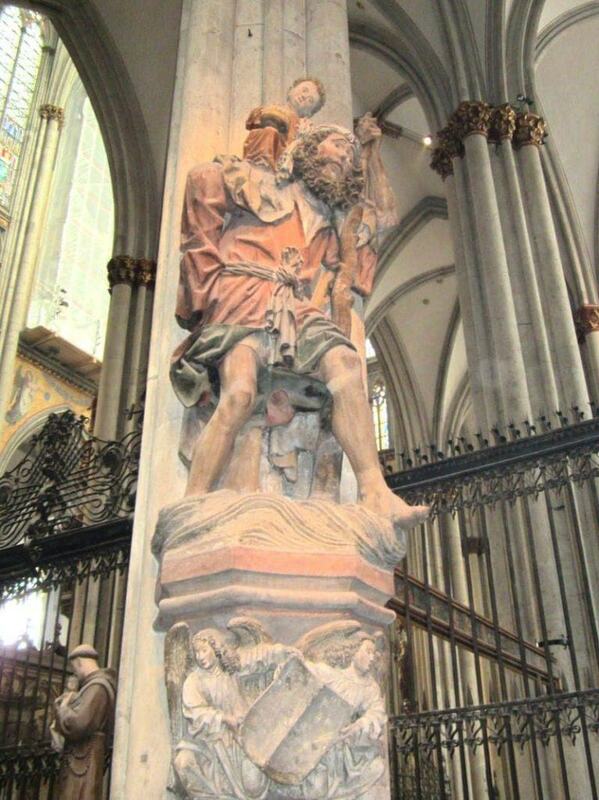 Perhaps one of our favorite sculptures in the church is the carved medieval statue of Saint Christopher. If you’ve been to pilgrimage sites before, you’ll recognize him with his staff and baby Jesus on his shoulder. He is a welcome sight for pilgrims as he is their patron saint. 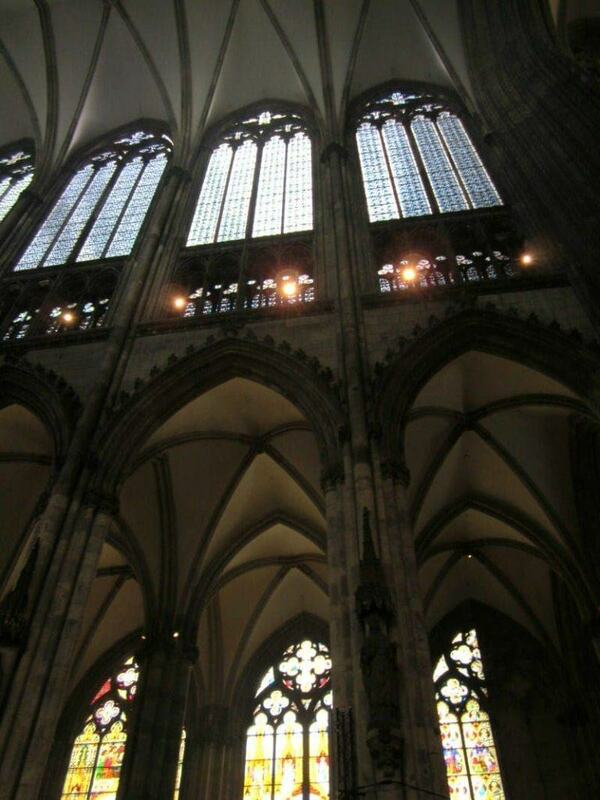 OK, so that was our tour of Köln Cathedral in Germany. We spent about an hour and a half wandering around the plaza and inside the church before heading back to the parking garage to race to our hotel in the Mosel Valley before the check-in time ended. Ideally a person would spend a full day or at least a full afternoon exploring Köln. Those with more time might consider a visit to one of the city’s museums such as the nearby Roman-Germanic Museum (Römish-Germanisches Museum) for Roman artifacts, Kolumba Diocesan Museum for more art from the cathedral, Museum Ludwig for modern art, Wallraf-Richartz Museum for art by old masters, or the Imhoff Chocolate Museum for those who prefer chocolate over art. There is also the oddly-named Archäologische Zone – Jüdisches Museum where you can see excavations of Roman sites as well as parts of the old Jewish Quarter as this gradually becomes a planned museum complex. We didn’t have the time for a museum visit or much wandering around the city, but hope to do so on our next visit. 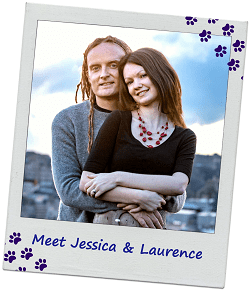 Feel free to ask us questions about our visit. 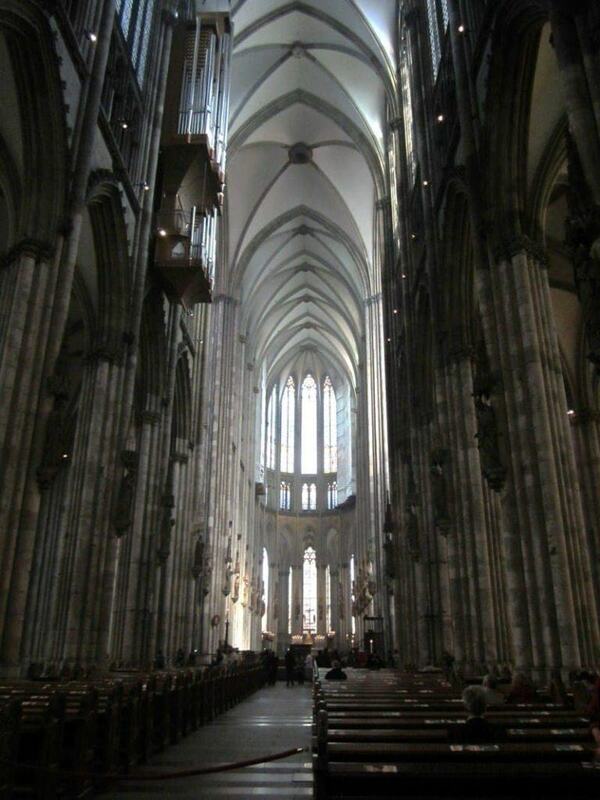 If you’ve been to Köln Cathedral, what did you think of your visit? Any additional tips? What else would you do with a day in Köln? Hello, I will be doing a very similar visit to the Cathedral. I’m heading from the Dusseldorf Airport to the Mosel region and would like to stop into Cologne for a quick visit. I notice you mention a parking garage nearby, do you need a special sticker to park in the center? Thanks! Hi Paul, yes that is almost exactly the route we took. The parking garage is quite to the cathedral close as noted – you can follow the signs once you get close. When renting any car in Germany, make sure your rental comes with the special environmental sticker that is required to park in certain city “green centers”. Almost all rentals will come with this and it’ll be a sticker on your windshield, but you should ask to doublecheck as parts of Cologne (and many other cities) do require it. Great job on capturing the enormity of this beautiful cathedral! I have a soft spot for these guys and can never resist a visit – so it’s great to know the background for this one. Thanks Meredith! It is such a gigantic place, it was so hard to try to take a photo of, haha. 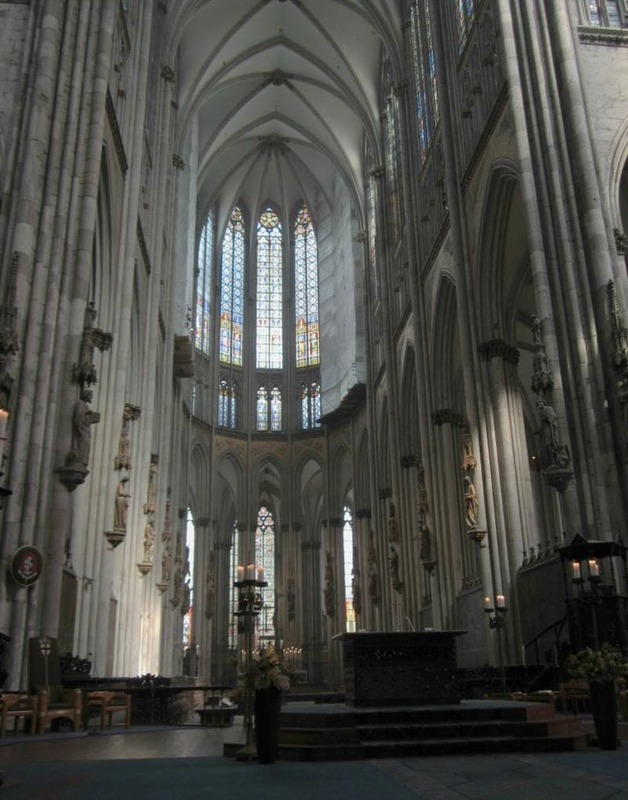 Europe just has so many amazing cathedrals! In Germany, around the Rhine area (but more south) we were also told we should visit the cathedrals at Speyer and Worms. We didn’t have a chance on our trip but they look amazing as well. This church is magnificent! I have always wanted to go to Germany, and this place will definitely be on my itinerary when I get there. Yes, it is definitely a great place to put on a first-time trip to Germany! 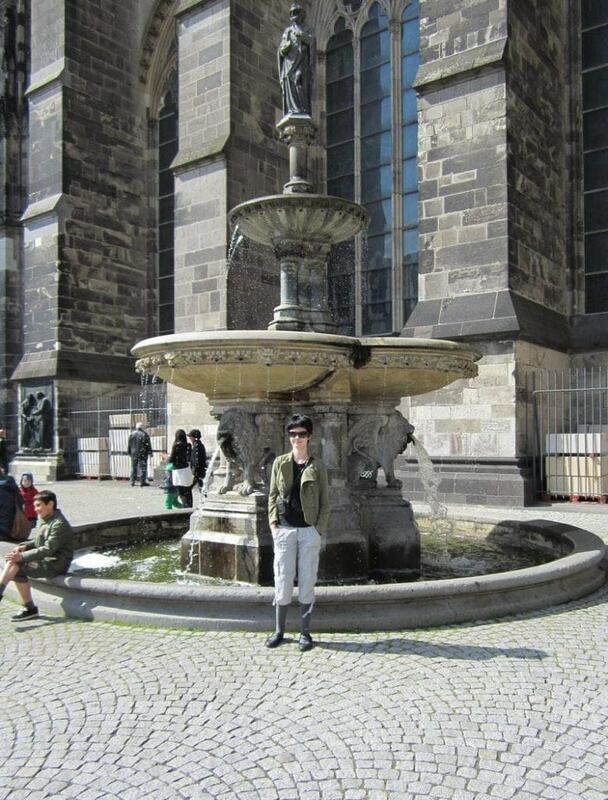 Hope you get to Germany soon, we had a great experience traveling there last year. Beautiful pictures! Happy SITS day! Yes, it is certainly a beautiful cathedral! Absolutely love the beautiful architecture. It definitely takes you back to another period in time. Thanks for sharing so much information and your amazing pictures! This Cathedral is stunning! I found your sit through SITS was excited to see a travel blogger. I was so fascinated with Cathedrals in Italy! The history is interesting and their very fun to photograph. Yes, happy to meet another travel blogger! I can’t wait to get to Rome and explore all the cathedrals there. Wow! It’s amazing and beautiful. The size is incredible. 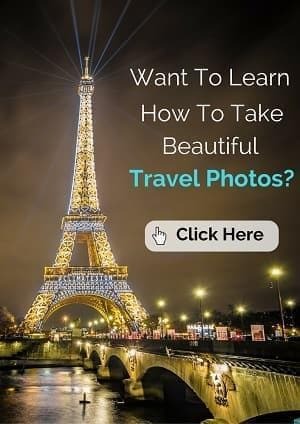 Your photos are wonderful. Thanks for sharing it with us. That place looks beautiful! One of these days I’ll be brave enough to get on a plane and go places like that. Totally gorgeous! Yes, stunning is a great word for the cathedral! The architecture reminds me a little of the Sagrada Familia in Barcelona. It looks magnificent. I love visiting churches and cathedrals – they are always such special places. We love visiting churches as well during our travels! 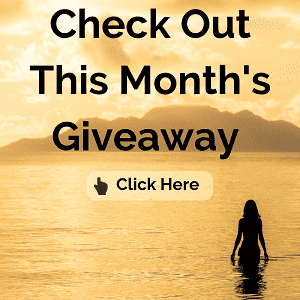 We haven’t been to Spain (or Rome!) yet and look forward to seeing the churches there! Even from your pictures, the cathedral looks absolutely incredible. How fortunate that it survived World War II (although of course many equally impressive gems were lost). I’ve never been to Koln, but it’s definitely moving up my list! It was actually hit by a number of bombs and damaged but survived, amazingly! You should definitely visit if you are in the area in the future. Thanks Fabio for your tips! I’m always struck by the reminder of how much history was destroyed during WWII… and the thought that a recent replacement window was in response to that event. There is just something about these cathedrals that makes the heart go silent in wonder. I’d love to do the climb:) Keep the great photos and info coming! Yes, most of downtown of the city of Cologne was destroyed by the end of World War II and almost the entire city had to be rebuilt. It is amazing that even though the church was hit by a number of bombs as well, it stood up to the bombs and was repaired to its current state. It is definitely one of the most massive churches I’ve ever stood in front of! 🙂 Thanks for stopping by Johlet. Thanks Anda! I’m happy you and your husband had such a fun time in Koln and Bonn, and glad you climbed those church tower steps for the great views of the city. 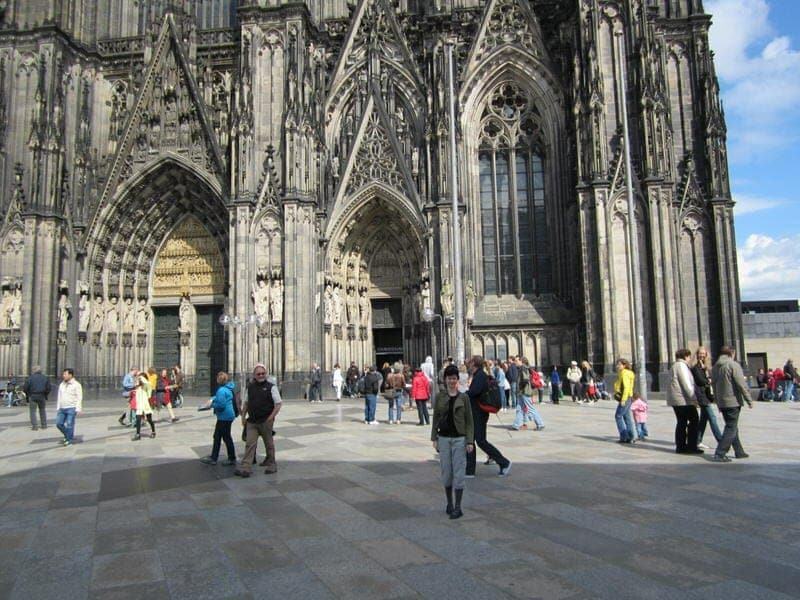 I’ve been to Cologne cathedral a few times – it was one of the places we visited on my school German exchange! Looks like you picked a lovely day for it – gorgeous blue skies on your photos. The chocolate museum is fantastic! I’ve been twice. Yum, we might have to check out the chocolate museum on our next visit. Climbing the tower is so worth it, though it’s exhausting and slightly claustrophobic, but the view is beautiful. There’s also a big triangular tower across the Rhein that one can go up and apparently the view there is also great! The Roman-Germanic museum is packed with stuff and really interesting, I just wish I’d done some research first because I realised my knowledge had some rather large gaps in. It takes a couple of hours to appreciate everything! I think my favourite way to appreciate Koln is actually just walking through it. I’ve realised I get bored in museums too quickly, and my neck and eyes get sore from peering at things too long. (I sound 50 years older than I am…). But after looking at the Dom, I’d walk towards the Rathaus, and appreciate all the ally ways, statues and fountains along the way. The Rathaus is covered in statues and is quite interesting to look at, and the bells are beautiful to hear at midday. Then some excavations of the old synagogue are really close by, as well as an old big banquet and market hall which one can see from the outside. The Deutz-Brucke is also cool to walk across, and is covered in love-locks, and the Rhein makes the Seine in Paris look so small! I have a post on what I’d do there in a day, but the Cathedral is definitely on top of my list!!! Thanks Erica for all the insights from your time in Cologne! I look forward to visiting again in the future and doing some of these other things. Wow the details on the outside of the Cathedral are amazing.